Copyright© 1995-2007 Underwriters Laboratories Inc. All rights reserved. No portion of this material may be reprinted in any form without the express written. 1 Copyright© 1995-2007 Underwriters Laboratories Inc. All rights reserved. No portion of this material may be reprinted in any form without the express written permission of Underwriters Laboratories Inc. or as otherwise provided in writing. 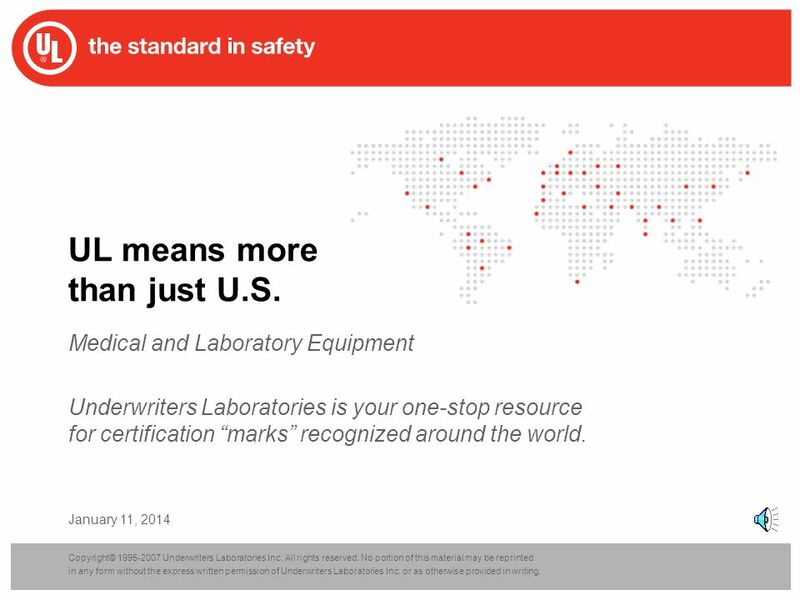 January 11, 2014 UL means more than just U.S. Medical and Laboratory Equipment Underwriters Laboratories is your one-stop resource for certification marks recognized around the world. 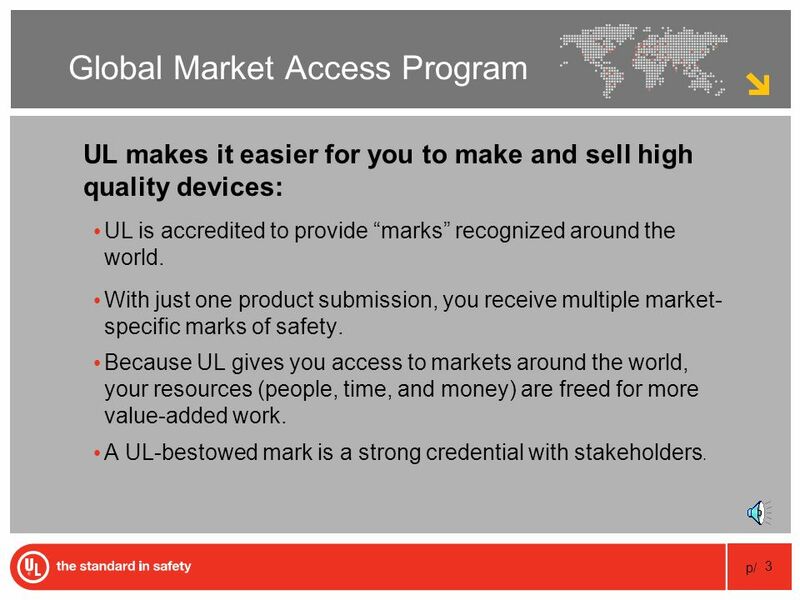 3 p/ 3 Global Market Access Program UL makes it easier for you to make and sell high quality devices: UL is accredited to provide marks recognized around the world. 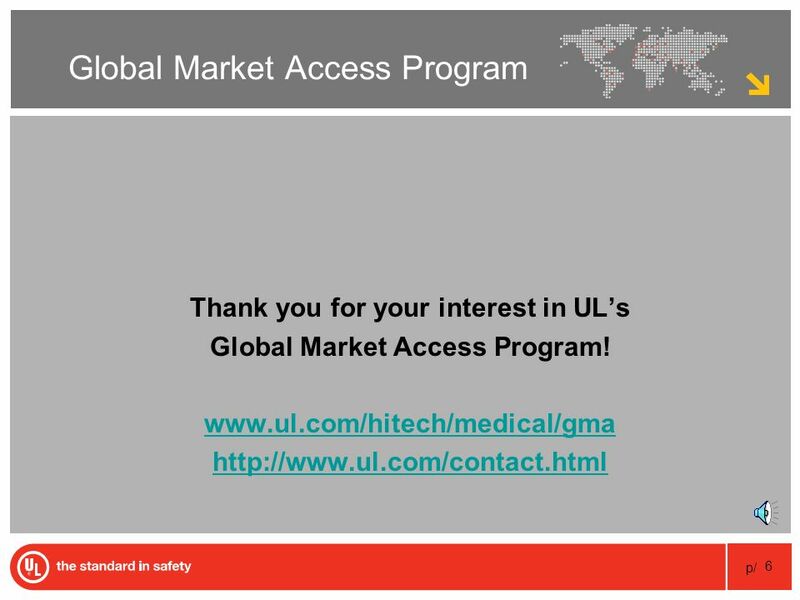 With just one product submission, you receive multiple market- specific marks of safety. 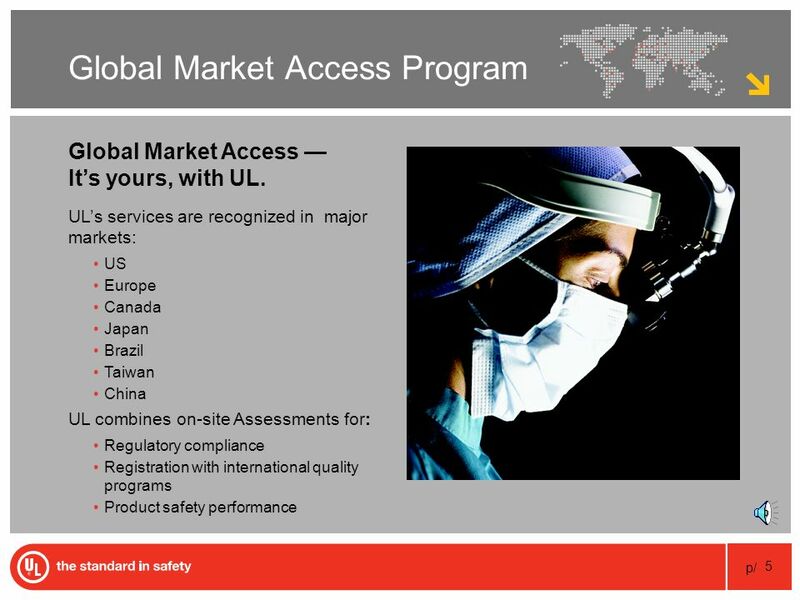 Because UL gives you access to markets around the world, your resources (people, time, and money) are freed for more value-added work. 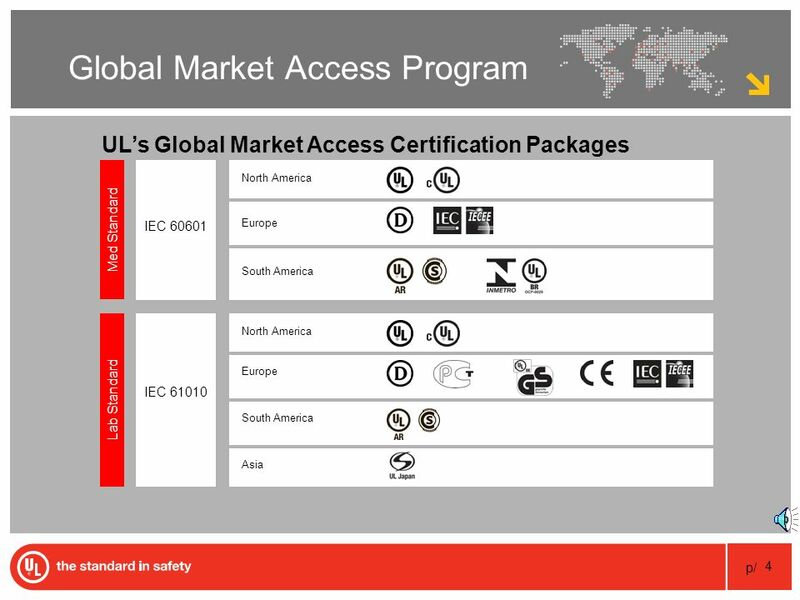 A UL-bestowed mark is a strong credential with stakeholders. Download ppt "Copyright© 1995-2007 Underwriters Laboratories Inc. All rights reserved. No portion of this material may be reprinted in any form without the express written." Trends in the Mechanisms to Facilitate the Acceptance of Conformity Assessment Results Barbara Fliess Trade Directorate, OECD Committee on TBT Workshop. 1 ETRMA experience F. Cinaralp, Secretary General EC Conference on WTO TBT notification procedure Brussels, 29 March 2007. Americas Perspective BRC Conference January 29 th – 30 th,2009 John Kukoly Product Manager, Agri-Food. Quality Label and Certification Processes Vienna Summit 11 April 2014 Karima Bourquard Director of Interoperability IHE-Europe. 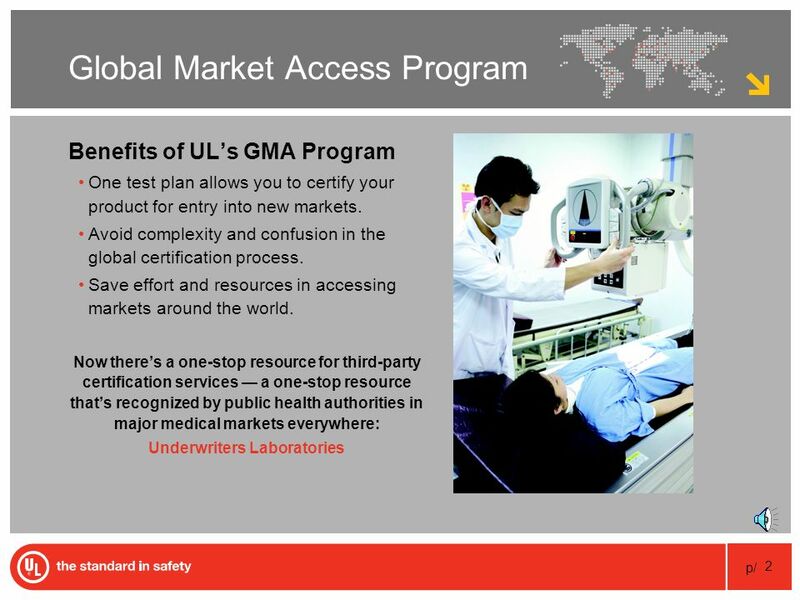 1 Underwriters Laboratories Inc. Trends in Conformity Assessment Erin Grossi Manager, International Affairs UL Government Affairs Washington, DC. Product Conformity Assessment (PCA) September 2013. Technology Services – National Institute of Standards and Technology The U.S. Conformity Assessment System and the Role of NIST Ileana M. Martinez National. A brief history of sustainable tourism certification Earth Summit (1992) – Agenda 21 Environmental awards & certifications in agriculture and business.